Most all of us experience some form of trauma in our lives and have a wide range of reactions. But most people recover from those initial symptoms naturally. Those who continue to experience problems may be diagnosed with Post Traumatic Stress Disorder (PTSD). People who have PTSD may feel stressed or frightened even when they are not in danger. Anyone can develop PTSD at any age. This includes war veterans, children, and people who have been through a physical or sexual assault, abuse, accident, disaster or many other serious events. Not every traumatized person develops chronic or even short-term PTSD. Not everyone with PTSD has been through a dangerous event. Some experiences, like the sudden, unexpected death of a loved one, can also cause PTSD. Symptoms usually begin early, within 3 months of the traumatic incident, but sometimes they begin years afterward. Symptoms must last more than a month and be severe enough to interfere with relationships or work to be considered PTSD. Some people recover within 6 months, while others have symptoms that last much longer. In some people, the condition becomes chronic. At least one re-experiencing symptom such as flashbacks, bad dreams, or frightening thoughts. At least one avoidance symptom such as staying away from certain places, events or objects that are reminders of the traumatic experience, or avoiding thoughts and feelings regarding the event. At least two arousal and reactivity symptoms such as being easily startled, feeling tense, difficulty sleeping, or having angry outbursts. At least two cognition and mood symptoms like trouble remembering key features of the traumatic event, negative thoughts about oneself or the world, distorted feelings of guilt or blame, loss of interest in enjoyable activities. All of these symptoms make daily tasks more difficult including daily work life, tasks around the house, and interacting with family and friends. Children react differently than adults when exposed to extreme trauma. In children younger than six symptoms can include, bed wetting, forgetting how to or being unable to talk, acting out a scary event during playtime, or being unusually clingy with a parent or other adult. Older children and teens are more likely to show similar symptoms as those seen in adults. They may also develop disruptive, disrespectful, or destructive behaviors. The main treatments for people with PTSD are medications and/or psychotherapy. 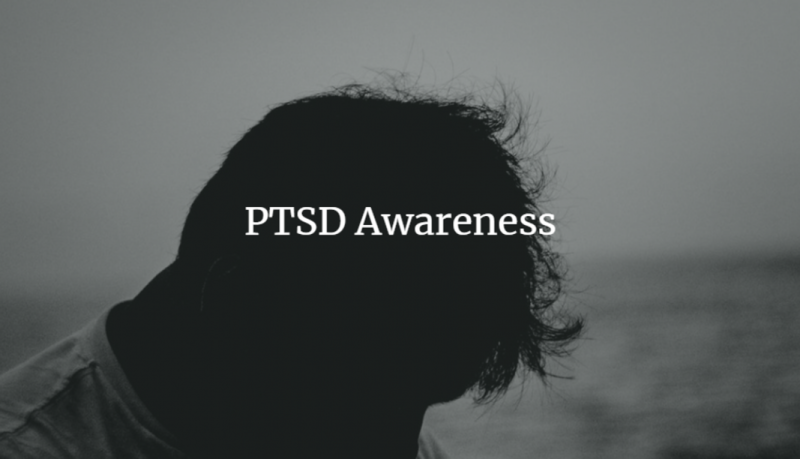 The most studied medications for treating PTSD include antidepressants, which may control symptoms of sadness, worry, anger, and feeling numb inside. These medications may be prescribed along with psychotherapy. Other medications may be helpful for specific PTSD symptoms such as difficulty going to sleep or staying asleep, and having nightmares. Psychotherapy (also called talk therapy) involves talking with a mental health professional to treat a mental illness. Psychotherapy can occur one-on-one or in a group and usually lasts 6-12 weeks, but can go longer if needed. Support from family and friends is a key component to the person’s recovery, too. It may be very hard to take that first step to help yourself. It is important to realize that although it may take some time, with treatment, you can get better. If you are unsure where to go for help, ask your family doctor or one of our pharmacists. Or search online for “mental health providers,” “social services,” “hotlines,” or “physicians” for phone numbers and addresses. An emergency room doctor can also provide temporary help and can tell you where and how to get further help.